I watched the presentation of Apple's new iPad. First off, I hate the name. Yep, I think of sanitary pads. I am always impressed with new technology. I love gadgets. I love Apple. Though I try to deny it. When the Palm Pilots came out, Gail said I should get one. Eh. Who needs that?! He said the same about the iPod. Soon after he died, I had one of each. Maybe I try to ignore the new stuff because I know I cannot afford to go out and buy the latest and greatest. It's easier to be ignorant and than drool over something you can't have. I have also learned to let others be the guinea pigs with new technology and work out the bugs and flaws. 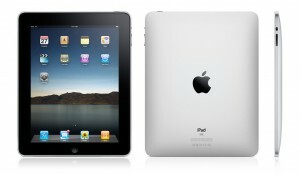 So as I admired the iPad, I knew I wouldn't be buying one anytime soon. Even with the lower price than expected, I know it's just not in my budget right now. I don't need one. Right? I mostly use my iPhone at home. I have a 3 year old iMac and a 5 year old G4 iBook. The iMac is OK but I have no good chair so I avoid sitting there unless necessary. The iBook is slow and the boys like to use it. The iPhone is mine and I don't have to share. I use the iPhone for Twitter which is fine. I use it for google reader which is OK. But when I need to look at full sites, it's not so good. The iPad would be much nicer. And reading eBooks would be much nicer. Recipes would be good on that too! So now there is another want on the list. Maybe by the time the second generation iPad is announce I might be able to afford one. Can I wait that long?